Originally the film was to have no trailers or posters, but I decided it was necessary to create anticipation and attract a large audience. It has been almost three weeks since The Attic had it's early release of June 23 on Youtube. The film was a massive success and surpassed expectations, achieving over 1000 views and gaining a handful of detailed and overwhelmingly positive comments. Praise has been aimed at the astounding gloomy atmosphere maintained throughout as well as the cinematography, music and sound, acting and shock moments. I am not only pleased by the positivity, however; this is my first film where a lot of honest criticism has been provided, which is a huge insight for me as to what my viewers like/dislike about my style and what they wish to see improved. 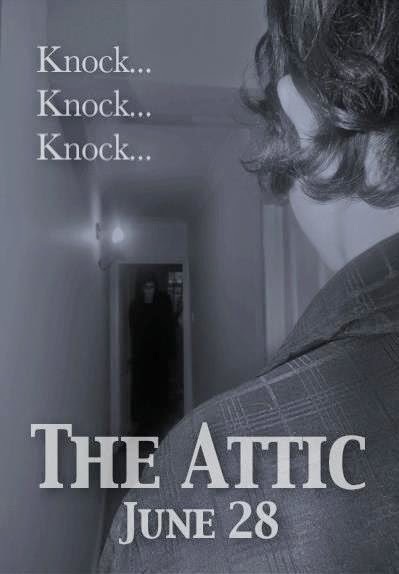 In The Attic, criticism was mostly aimed at the occasional shaky handheld camerawork, poor lighting and the laptop scenes, which intended to document the happenings and Joseph's experience with them (and many did still find them effective), but several viewers found them dull and emotionless. But it's hard to think that this all began with a single idea I had in September 2010, when I heard strange knocking sounds in my room which sounded as if they were coming from inside my attic. 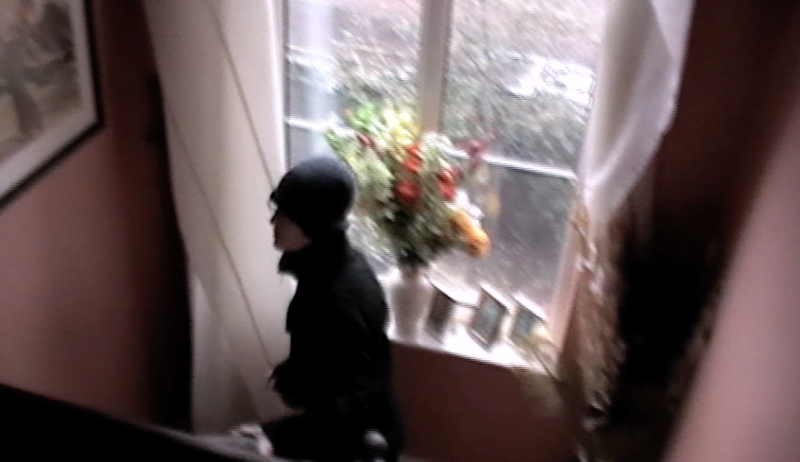 It turns out that it was merely my neighbour putting up a shelf next door and my hearing was a bit dodgy, but it still sparked the idea inside me to make a film where something lies within the attic, knocking and knocking, but never revealing itself. This original idea is one that the final film adopts only in one scene, as over time it expanded into a much deeper, conventional and varied ghost story with the title remaining intact simply because I could not perceive the film having any other name. Titles such as The Necklace and That Door were considered, but they were terrible, and the original title was kept as a result. But the final script is of course not at all similar to the original drafts and outlines. Writing for the film began in November 2010 once the idea had been fleshed out a bit more; interestingly, the renowned opening scene where David is seen getting dragged to his death by The Ghost was written into the film shortly after the first draft. It remained the only scene I deemed perfect for the entire writing process from the start of penning the script, and so was not scrapped from the final film. However, what followed on from that scene was vastly different to what is shown in the released film, and instead of being set in David's house, it was mostly set in Joseph's. Originally the film opened with Joseph playing a video game before realizing he is late for a meetup with friends. He was to grab his coat and leave the house, returning in the evening. This scene would also have shown knocking from the attic, but it would have been vague and discrete and, as a reverse of how I heard it in real life, Joseph would assume it is next door being a nuisance and yell at them to be quiet. Upon returning from the meet up, he would have gone off to bed and, in the middle of the night, would have heard knocking from his attic. This time it would have been loud and almost menacing, waking Joseph (who now knew where it was coming from) and frightening him. He would have grabbed his earphones and placed them in to block out the noise and, too afraid to go inside, would have moved the very corner of his bed and not have taken his eyes off the attic door. 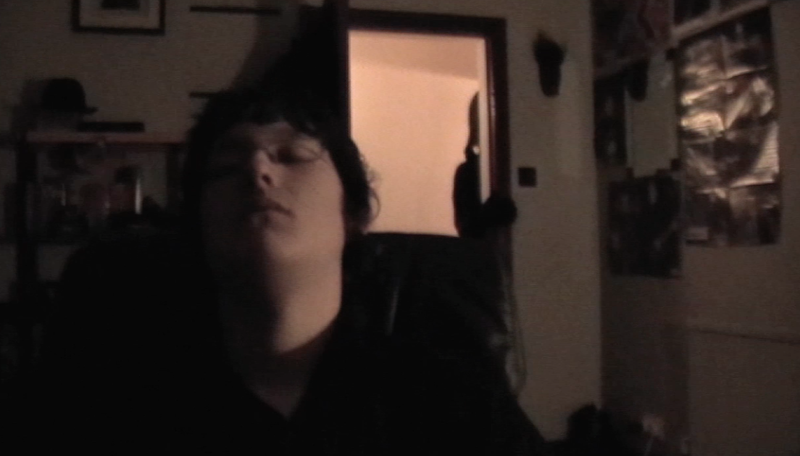 However, in a scene similar to one in the final film, he fell asleep. We dubbed this shot 'The Amazing Stair Pan' due to it's awesomeness. What followed on from all this was Joseph finding the necklace in the attic and attempting to be rid of it. Instead of having the addictive, supernatural influence it possesses in the final film, the necklace would have been something that stalks Joseph and mentally tortures him; constantly appearing in his pockets and around his neck when he tries desperately to destroy or lose it, even throwing it away in the common during one scene. Alongside this, knocking would continue to emit from the attic, and Joseph would see notes appearing all over his home that read "GIVE IT BACK" (another idea kept in the final film), suggesting there is another entity in the attic who controls the necklace. The main idea would have been that it demands Joseph to return the necklace yet keeps handing it back through supernatural means, attempting to cruelly toy with and frighten him for some sick recreational desire. A scene set during the middle of the night was planned and dubbed 'the main hauntings'. Here, there would be a series of supernatural and spooky occurrences in Joseph's house. Such events included constant knocking on the attic door coupled with ghostly screams from inside as well as one from outside the house. This would see Joseph fleeing from his house in terror when the lights suddenly go out, panting heavily outside in his driveway. Then, a ghostly shriek would sound from the distance (with a frightening echo attached) and continue endlessly. This would represent a difficult choice for Joseph; continue hearing the terrifying scream or go back inside into the darkness. He chooses the latter, and falls the floor in his house, refusing to open his eyes until the lights suddenly flash back on and knocking from the attic door upstairs continues. Joseph loses his temper and throws the necklace at the attic door, yelling at whatever is inside to just take it and leave him alone, but it shows him several notes: one reads 'BECAUSE IT'S FUN'. The attic door would then fly open loudly and ghostly shrieks would emit from within, terrifying Joseph into unconsciousness. This entire scene sounds good here, but when rereading it later, it was far too congested and poorly timed. Much like the nighttime scene in The Woman in Black (2012), the scares were tacky, poorly paced and kept attempting to be mere jump scares. The one I regret getting rid of is the shriek from outside the house, which even now seems like a very creepy concept. These window shots were difficult. Communication for timing had to be done through phoning one another constantly. Then came the ending. The ending is something that has changed several times throughout development, even during filming. In the first draft, the ending would include Joseph handing the necklace back calmly and then revisiting the attic later to find it gone. Content in believing that whatever haunted him has now left, he resumes his normal life and invites his friend Mike over for a bit. When playing a video game, Joseph heads off to the toilet and during his absence Mike hears knocking sounds from the attic. Curious, he enters the room and notices a small door in the corner is open and emitting whispering sounds. He approaches it and, whilst Joseph exits the toilet, a scream is heard. Joseph enters the attic, panicking, to find Mike gone and the necklace in front of him. The film then ended with the attic door closing and the camera panning away from Joseph's bedroom as his and a ghost's screams are heard from within. This seemed like a relatively creepy ending initially and I enjoyed the concept of the attic door closing Joseph inside, but it seemed far too random and inexplicable, and the introduction of Mike at such a late stage was utterly forced. The final part of the ending was altered slightly afterward, where Joseph would enter the attic after hearing Mike scream and enter the same door he entered, ending up in a dense, secluded part of forest with a strange black figure behind him. Both of these endings were disliked eventually. Another ending idea was for Joseph to pack his bags and leave the house. The final scene was to be shot in Romsey War Memorial Park, where Joseph would be walking contently having fled his home a month ago to escape the horrors inside. However, at the park, he sees a black figure in the distance and has the necklace back in his pocket - this ending was never finished, however, as I myself thought it was just so bad. On the final draft of the script, the ending saw Joseph trying to flee the house in terror as all the doors begin to knock but be unable to escape. He then loses his temper and angrily throws the necklace at the door from which The Ghost lurks behind and is suddenly dragged in to his death, mirroring the opening scene. This ending seemed too abrupt and sudden in the script, and was finally changed during filming to the one we see in the final film where Joseph is attacked by The Ghost when fleeing from the house. This ending was also done to experiment with The Ghost's physical appearance, allowing us to show it as more than just a black cloak. The Ghost was added half way through making the script as we wanted to show it as an evil entity, and not just some suggested essence done via whispering. This scene was inspired by a similar scene in The Woman in Black (2012). This ending was chosen and finalized as the most effective. It is the most notable element of the script that was changed during production, and a choice I am very happy for making. After a huge hiatus throughout 2011 (though portions and ideas were suggested and added during this time), The Attic's script was finished on February 5, 2012. Of course many alterations occurred during filming, such as the aforementioned ending. Other examples include the scene where Joseph finds the counterfeit necklace in the ruined front room, which originally involved him finding a slashed photo of David holding the necklace. The counterfeit necklace was introduced by two funny coincidental happenings; the original necklace prop was lost and a backup one was going to be used, however the original was then found, so we ended up with two necklaces. After this, there was insufficient printer ink to print off the photo of David, meaning we had to make last minute changes - and these really spiced up the storyline in my opinion. This scene was also very different in one of the earlier drafts of the script, instead seeing Joseph enter the common with the necklace in his pocket and suddenly find it gone. 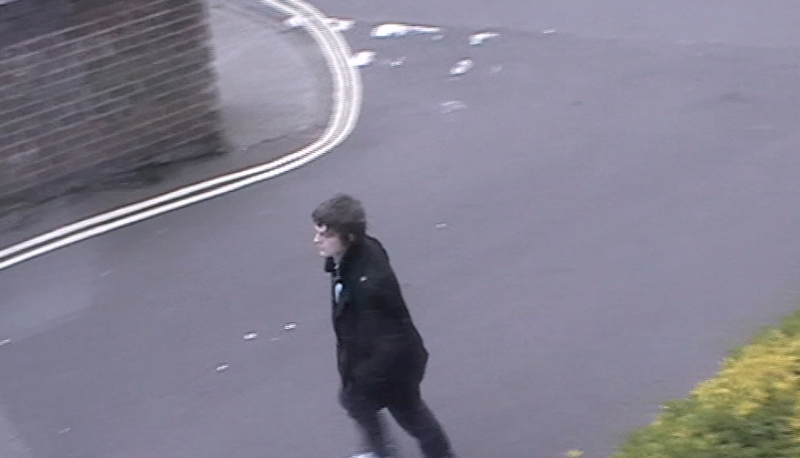 Panicking, he races back to the house and finds it, demanding that The Ghost stop trying to take it back. It was rewritten into the scene it is now to be less casual and abrupt, as well as more insightful to the overall narrative. In the original script, a night filter was going to be applied to the scene where Joseph finds The Ghost in the front room (originally the living room) where smashing is heard. The Ghost would also be seen standing motionless, facing away, and then turn around to attack him. 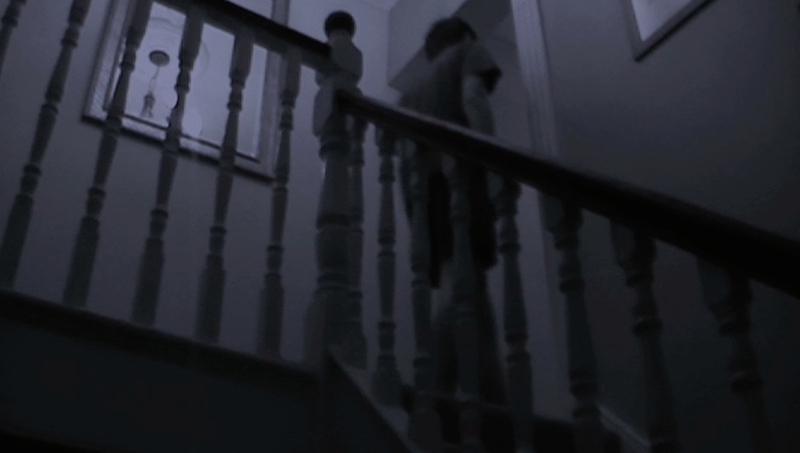 The decision to use matches was inspired by the notable scene in 2010's Shutter Island, and The Ghost could not be shown standing still before attacking due to the black cloak blending into the darkness. As a result, we chose to incorporate a much more effective jump scare as The Ghost shrieks directly at Joseph, it's pale face and sunken eyes clearly visible. Minor changes were also made, but that is the case with any film script. In general, the final film is relatively faithful to the final script, which is 14 pages long (obviously there is a lot of description, so that's why the film adds up to 45 minutes). Thanks for reading Part 1 of this Making of The Attic series, and check out Part 2 where we will delve into the filming process!